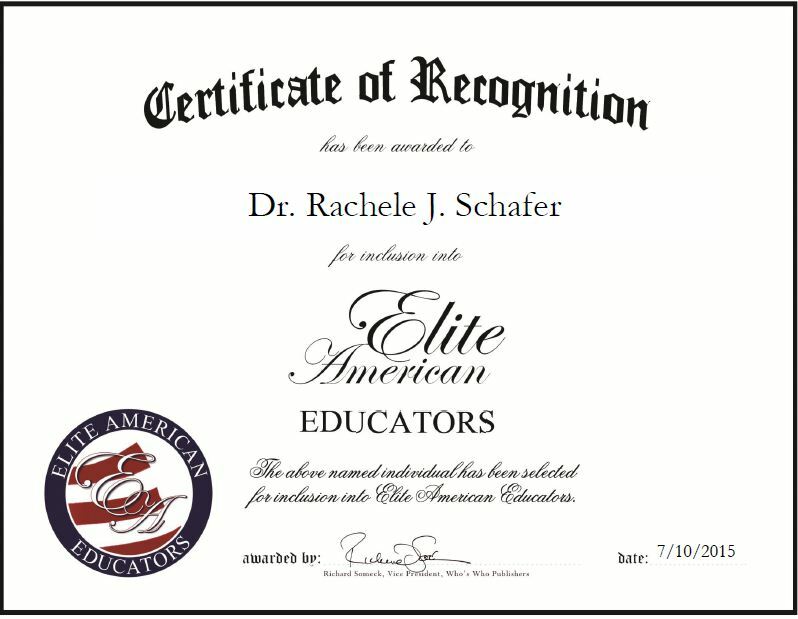 Bemidji, MN, July 10, 2015, Dr. Rachele J. Schafer, Assistant Professor of Bemidji State University, has been recognized by Elite American Educators for dedication, achievement and leadership in higher education. Dr. Schafer was inspired to switch careers due to her eldest son who has autism. She has been serving as an assistant professor for three years and is focused on building an autism program in Northern Minnesota. She is considered an expert in Autism spectrum disorders and is responsible for teaching a variety of special education courses. Dr. Schafer has spoken nationally and internationally on Autism. While in Lubbock, Texas she built a support group for individuals on the Autism Spectrum with another individual. She also conducts research in the areas of communication, social skills, and Autism, and effective transition through the years for individuals on the Autism Spectrum. More recently, Dr. Schafer completed research based on longitudinal research from her dissertation that will assist individuals on the Autism Spectrum with social skills training. She attributes her success to her hard work and perseverance. She also credits the interpersonal communication model she created for people with Asperger’s syndrome, SAA RED, based off of multiple communication theories of Albert Bandur’s social cognitive learning model. This entry was posted in Higher Education and tagged autism, research, social cognitive learning model, social skills, speaker, special education, training. Bookmark the permalink.